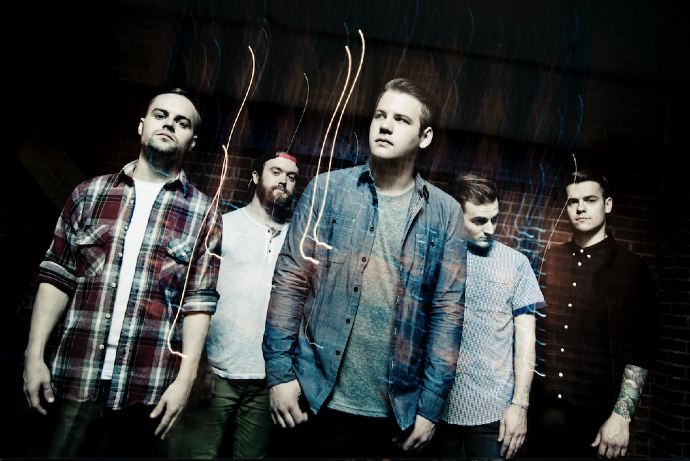 Beartooth – Download Ones To Watch 2015 Edition! Right, some people may see this article and say, “Beartooth aren’t unknown enough for this”. Well, first off it’s my article, I do what I want, secondly, they’re still fairly new, and although a fair few people will have already heard of Beartooth, a good number of them may not have really paid that much attention to the music they’ve created. Let’s take Royal Blood for example. When they played Download in 2014, people had heard of them, but not necessarily heard them. Next thing you know, they’ve got number 1 selling album, and are winning Brit awards. Now I don’t think Beartooth are about to win a Brit award, because the majority of The British Phonographic Industry are scared of anything remotely heavy, but they are on the cusp of absolutely blowing up in the rock and metal scene. Beartooth have been together for around three years now, when lead vocalist Caleb Shomo was still in his previous band Attack Attack!, the band that has also spawned the now critically acclaimed Of Mice And Men. At first Shomo claimed that it was just another musical outlet as well as being part of Attack Attack!, but since has essentially become something more universally loved within the music community and altogether something ten times better than what he could have ever produced in Attack Attack! Last year Beartooth released their debut album Disgusting, which immediately became a lot of people’s album of the year. It’s very clear why this came about as well; the tracks are altogether more interesting and technical if you want to be blunt about it. It’s starting to become more and more difficult, as bands are being created, to have a sound that is inherently unique to your own identity, but Beartooth seem to have pulled it out the bag. I think the major differing factor is that at the moment, in metalcore, there isn’t a band widely known who have a voice remotely like Caleb Shomo. It may seem like we’re going on about Caleb a bit, but he really is a focal point. Although, one man does not make a band, and the other members, Taylor Lumley and Kam Bradbury, both on guitars create a fantastic melodic, and at the same time metallic sound. Oschie Bichar keeps the bass line driving fantastically, and another one of the stand out members, Brandon Mullins’ drum work is both fantastically quick yet highly rhythmic, keeping feet tapping at the very least. Live, the band’s been described as destructive and a lively act to say the least, according to their own Facebook page “We’re really loud, and like to break stuff.” To put it this way, to try and one up them a couple of months ago, one of their support bands had to set their guitarist on fire. So you’re certainly going to get a show when you see them live. Beartooth are on the cusp of greatness, and has given Caleb Shomo the freedom to do what he really wants without the constraints of being in a band like Attack Attack! To contend with, and if you can you should certainly catch them at Download this year! He's right back at it again, doing what he loves and listening to incredible music. Why Metallica And Iron Maiden Are Systematically Destroying The Festival Scene! Time To Raise The Horns And Call The Troopers. Iron Maiden Headlining Download 2016. Is Fightstar’s New Album Behind The Devil’s Back The Incredible Return We All Hoped? Next articleSlam Dunk Finally Announce The News We All Wanted To Know – Stage Splits! Will “Silvertooth” Make Way For A Rise Of Mash Up Bands?